Today I have teamed up with Character World to bring you not one but two giveaways. 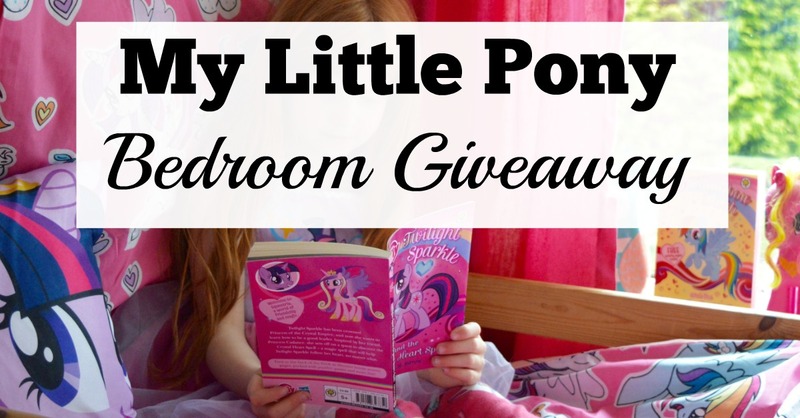 The first giveaway is linked at the bottom of this post and is your chance win your own My Little Pony Bedding set featuring a duvet set, cushion and towel. The second giveaway is in association with Character World, IceLolly.com and Tesco. You can win a 7 night 4* all inclusive holiday to Majorca by simply sharing a photograph of your child's dream bedroom using Character World bedding - find out more details and enter here. 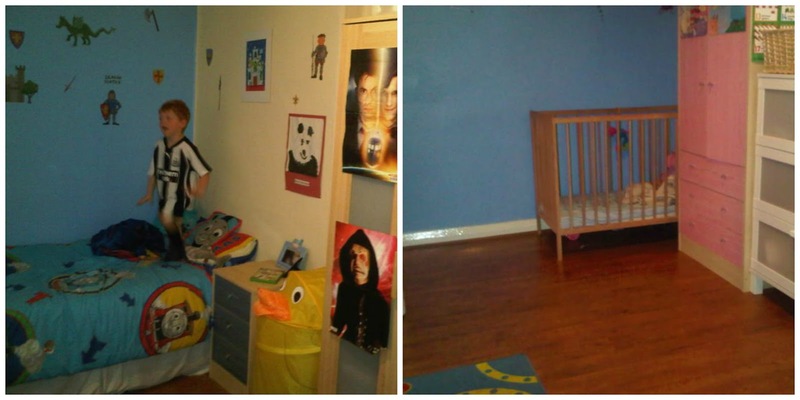 I thought I'd write a little light hearted post about how different my childhood bedroom was when compared with Heidi's. My own childhood bedroom was always immaculate (my mam was super strict about this whereas I am very laid back and Heidi's is therefore always messy) and there wasn't really such a thing as 'character bedding' back in 80s. I remember my bedroom was a fetching shade of peach with floral bedding in the early years and then as I turned into a teenager, I was suddenly inspired by an episode of changing rooms to create a bright pink, turquoise and black bedroom. What was I thinking?? Being an older child worked in my favour and I was allowed the biggest bedroom and it was huge with bunk beds, a desk and loads of space. I remember covering my bedroom mirror with stickers from my Smash Hits magazine and my walls were covered with Boyzone posters. Heidi's bedroom is tiny bless her. Due to there being a built-in wardrobe above the stairs, a full sized bed doesn't even fit in her current bedroom so she has to have a shorty bed. It's a good job she's little! It's a far cry from Heidi's first ever bedroom which she shared with Harry when we lived in an upstairs flat.....She'd love to have all of this space now. Heidi's bedroom may be small but she definitely makes the most of it. Character World bedding is so inexpensive and over the years she's had all sorts from Peppa Pig to Frozen, Shopkins to Monster High and now My Little Pony is her latest thing. 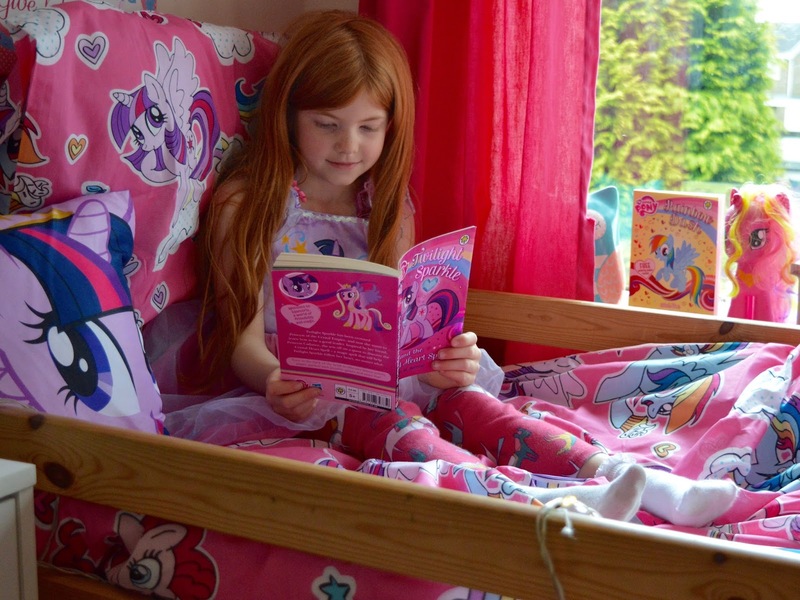 Heidi was keen to enter the IceLolly.com competition so styled her own pony-inspired bedroom using character bedding. She's made a My Little Pony reading corner with her books, My Little Pony toys and cushions. What do you think? 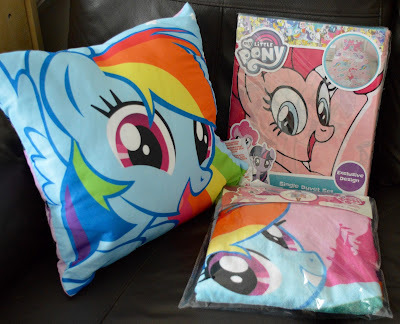 You can win the My Little Pony Bedding Bundle pictured above by entering the Rafflecopter giveaway below. Good luck! Terms and Conditions: Prize is provided by Character World - a My Little Pony Single Duvet Set, My Little Pony Cushion and My Little Pony Towel Poncho.<br />Prize may be changed to an alternative character/product of a similar value if those listed are not available. Item will be posted to any UK Mainland address within 30 days of the giveaway closing. UK Mainland Postage is included. No refunds will be given. There is no cash alternative. Giveaway ends midnight 18/06/17. A winner will be selected at random from all valid entries and notified via email. Nice prize. Would like the opportunity to enter / win prize. Please consider allowing Competition entry via e-mail, blog comment etc.